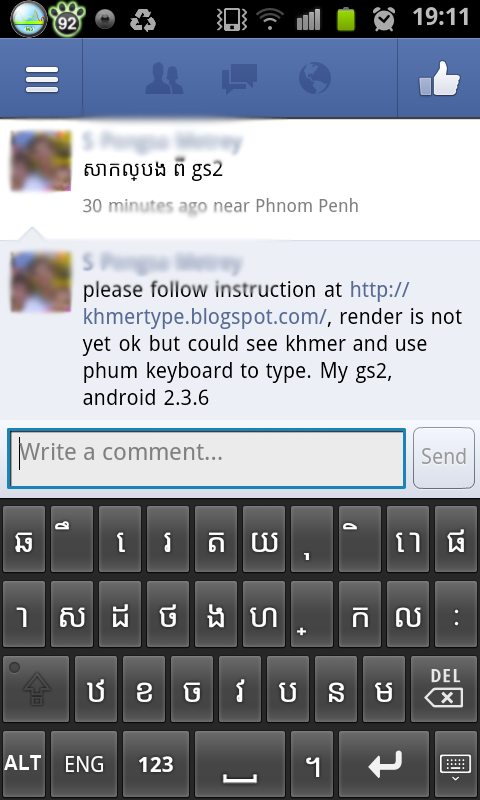 I got successfully installed Khmer Unicode on my Galaxy S2 (Android 2.3.6) without rooting system but Khmer character is not well rendering that needs a bit more patient to wait for Android upgrade. 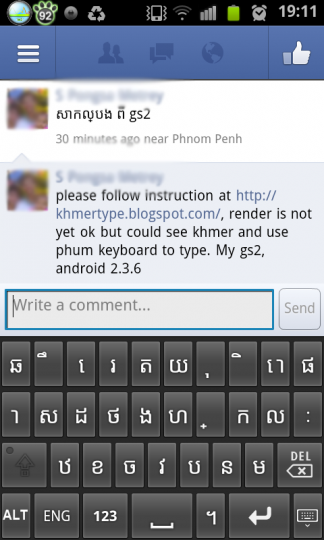 After you should be able to see everything in Khmer even though the rendering is not fine, you can type Khmer Unicode as well. More detail check original instruction in KhmerType. Since there are so many comments asked about Android 4.1.x, this version, the rendering is working fine and perfect enough. It just miss the font so that you need to install above font and make the same instruction. 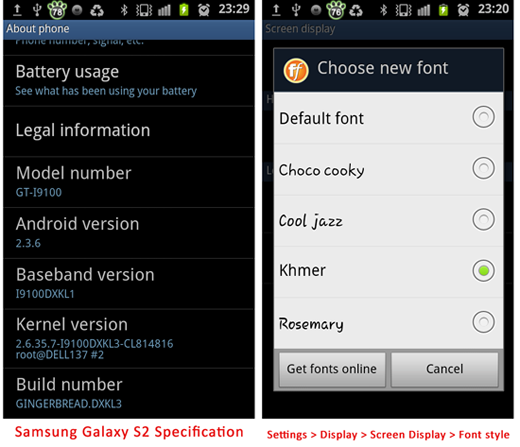 For Samsung Galaxy, it is more easier with its FlipFont as stated here for Galaxy Note 2. If it’s working for you or you have other way to make it working, please share in comment.